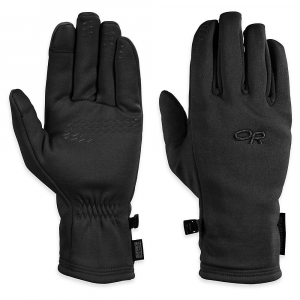 these may be the most versatile gloves i own, and certainly the gloves i use and abuse the most. I am on my second pair. 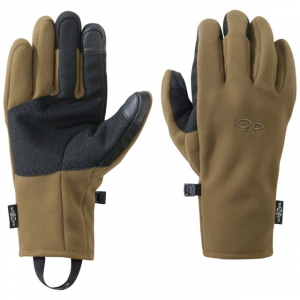 the gripper gloves are made from windstopper fleece. 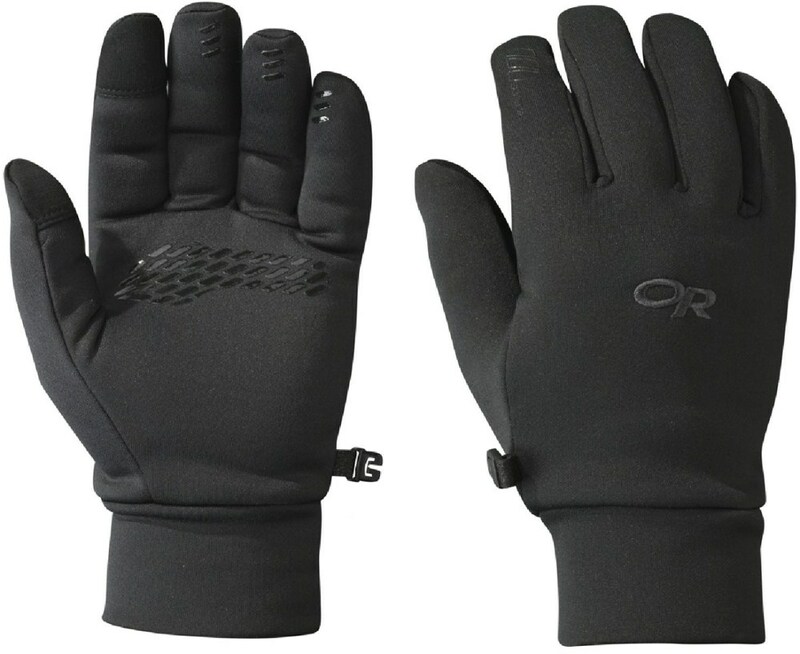 the first two fingers and palm are made of windstopper fleece with the outer surface coated or impregnated with some kind of rubberized compound that makes that area of the gloves much more grippy than ordinary fleece. hence the name. 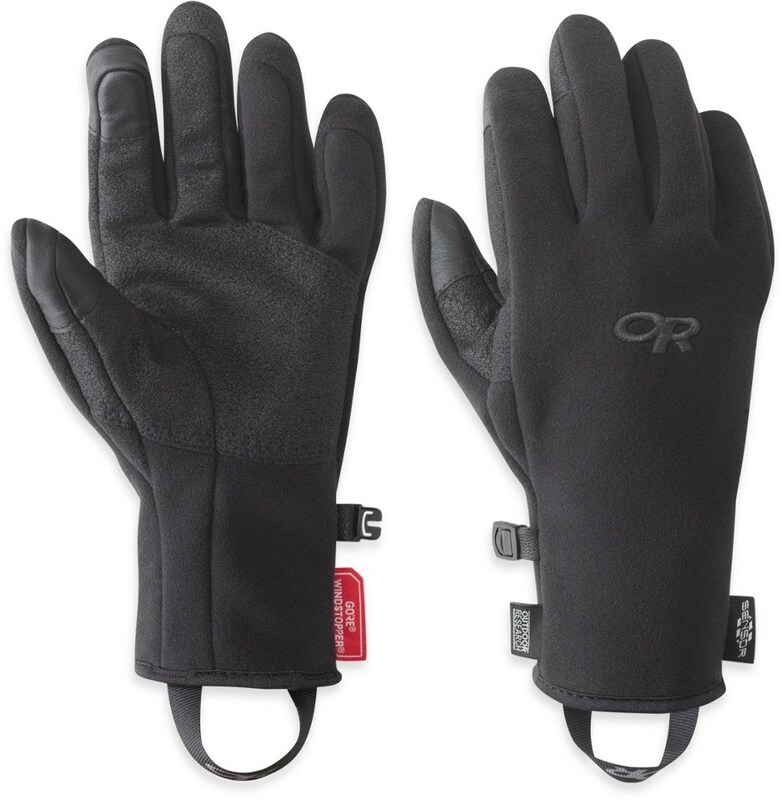 i wear these gloves alone in cooler weather, for driving in the winter, or if i'm shoveling snow or working hard outside in cold weather; with a thin wicking liner to add some warmth, for cross-country skiing for example; and with expedition-weight liners in weather down into the teens or if i expect to be a little more stationary. 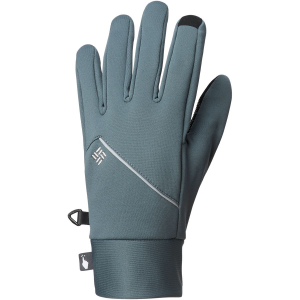 a key advantage of these gloves, compared with more heavily insulated primaloft gloves like the marmot randonee, is that they provide a much better ability to use your hands for finer work - especially like the grippy palm and fingers. 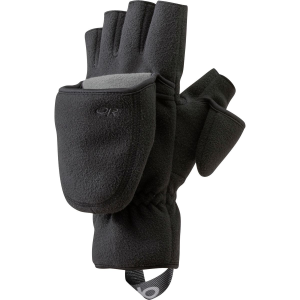 it's the best glove for dealing with snowshoes, crampon hardware, and tying knots that i have ever used in cold weather. i used to do that kind of work in glove liners, which left my hands pretty cold sometimes. i like that the gloves have a good-sized hang loop at the wrist because it helps for drying them out. the windstopper fleece wears like iron. after some years of steady use and washing, my first pair had shed most of the sticky material in the palm and fingers. the new pair, purchased the beginning of this winter, has a little more 'stretch' to the fleece, which is a suble and welcome revision. i highly recommend not drying these gloves in a clothes dryer or near direct heat, as i think the heat contributed to degrading the grippy coating. i can't think of anything i would do to improve these gloves. 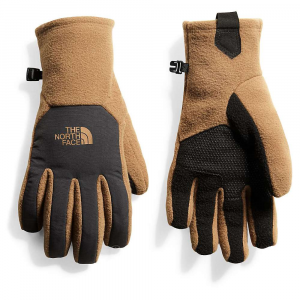 they would not be very suitable for sitting still in sub-20's weather, but i wouldn't expect any glove of this weight and lack of insulation to serve that purpose.